Well, of course it was incredible at Estoril - but what's the SVJ like on an actual road? 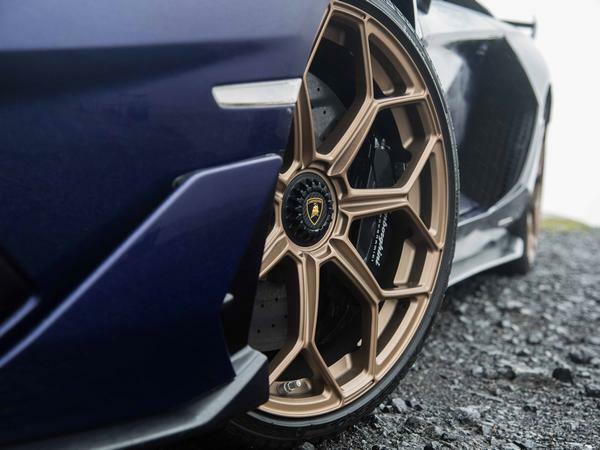 While there's an argument to say that every Lamborghini is important, the Aventador SVJ has to rank as really rather significant in the Sant'Agata hierarchy. 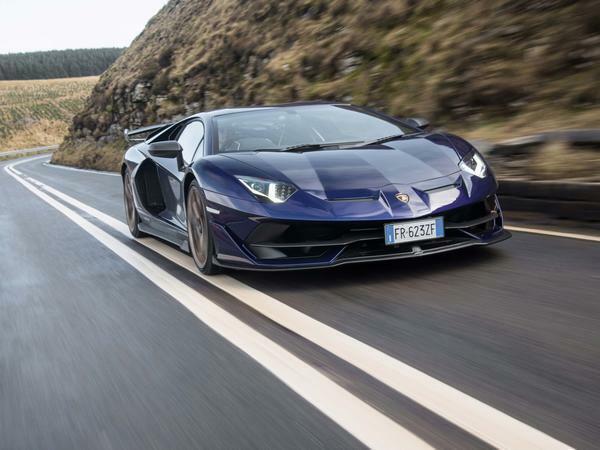 Because, if we're honest, there can still be a bit of snobbery about Lambos as driver's cars; loud, dramatic and fast, certainly, but often dismissed by enthusiasts as talking the talk better than they walk the walk - even after the incredible Performante. That deserves to change with the Jota. Using an old car - first launched in 2011, don't forget - old gearbox technology and a naturally aspirated engine, it lapped the Nurburgring in 6:45. Regardless of your prejudices or preferences (or the fact that a Manthey GT2 RS has now gone faster), there's no denying that sort of time marks out a phenomenally capable automobile. 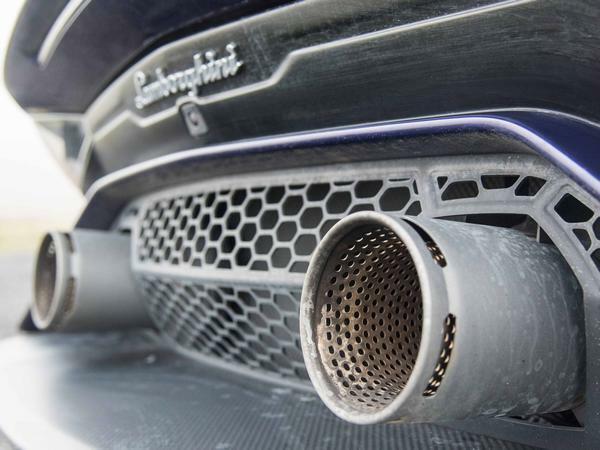 It's more than 40 seconds faster than a similarly powerful, similarly heavy Ferrari 812 Superfast; even allowing for the Lamborghini's stickier tyres - plus the fact that comparing 'ring laps make palm reading look an exact science - there's clearly something special at work in this Lamborghini. It's not simply another wild V12 with silly doors and a long name. 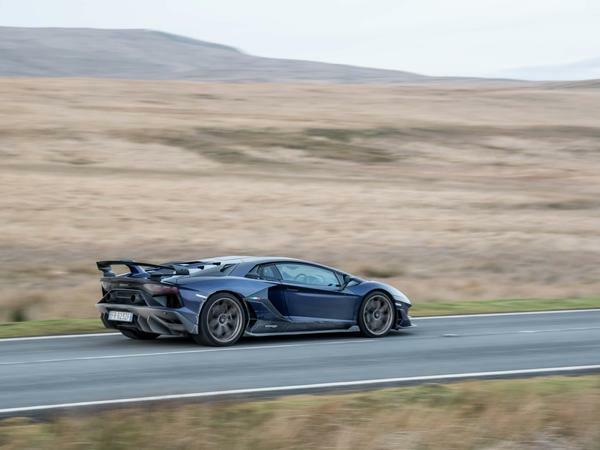 The ability, then, is in no doubt; what's to be answered now, with speed limits, solid white lines and 45 million other licence holders, is whether that makes for a great supercar in the UK. Because the Nordschleife is not the making of a fantastic driver's car. Want proof? The Porsche Carrera GT, 997 GT2, 991 GT3, Audi R8 V10 Plus and Alfa Giulia Quadrifoglio have all recorded 7:32 laps; some of those cars we're going to rush to a little quicker than others, aren't we? Ability is one thing; making the driver enjoy the experience is another altogether. 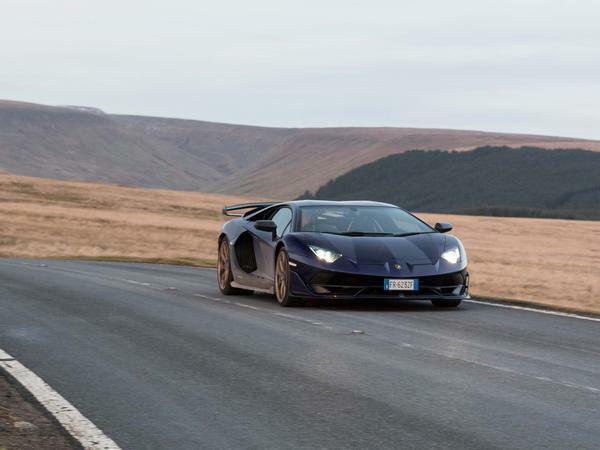 And while the cynical will argue that this car will never see a bend more challenging than Hyde Park Corner, we did what hopefully any other PHers would do given the most powerful production Lamborghini ever for 36 hours - drove to Wales, drove around Wales, drove home again. Then were sad for quite a long time after. You could be sad just seeing the SVJ and then having to depart - it really is a spectacular car, even so many years after the Aventador's launch. 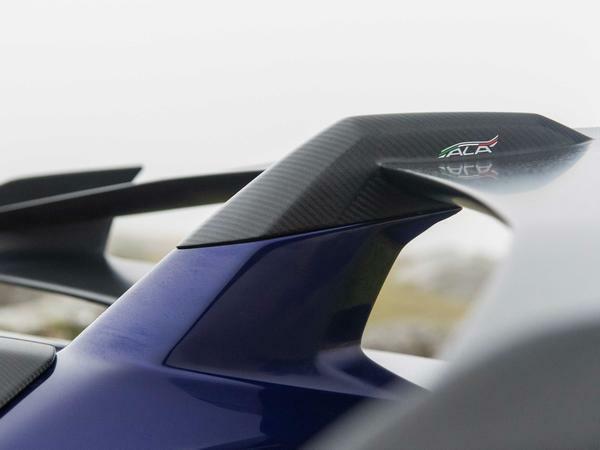 Like the F12 TdF, there are a host of aero tweaks that, while not doing anything for the purity of the shape, make it completely unmissable and almost cartoonishly dramatic. It's an exercise book doodle of a supercar, with all the excess and silliness that you'd hope for, only done with a genuine eye for aerodynamic performance and circuit prowess. It's utterly silly, and perhaps all the more brilliant because it's all authentic - no spurious spoilers or skirts that you need to feel guilty about here. 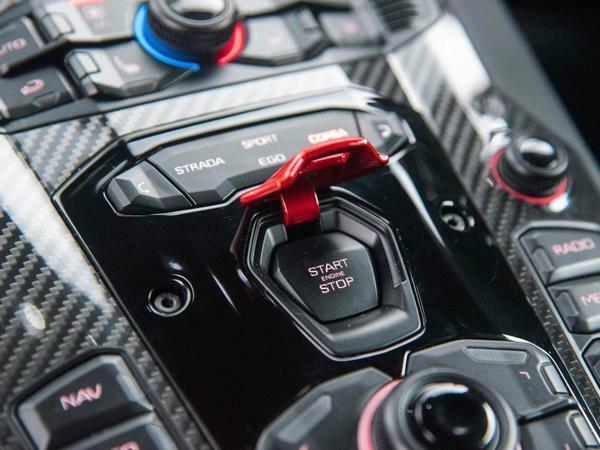 Do you care about the interior of an Aventador Super Veloce Jota? Probably not, though it should be noted that taller drivers need not apply: there's insufficient headroom, the view forward makes a pillar box look like a lighthouse, and the seats are genuinely spiteful. Those of a more 'Italian stature' - Dafydd's phrase, at a crucial few inches shorter - will be more at ease. Still, the SVJ could have a seat of nails and a wheel of barbed wire and you would still sell a kidney for a drive. It's that kind of car. Please, though, don't be one of those buyers - the SVJ deserves much better. Even on the M4, a feeling of the Jota being just so much more Aventador - for good and for bad, but for the very large part the former - becomes evident very quickly. The engine, with its new valves, lighter flywheel and new injectors among other modifications, feels like even more V12 than it ever has; bigger, burlier, angrier than the mere stats would suggest. 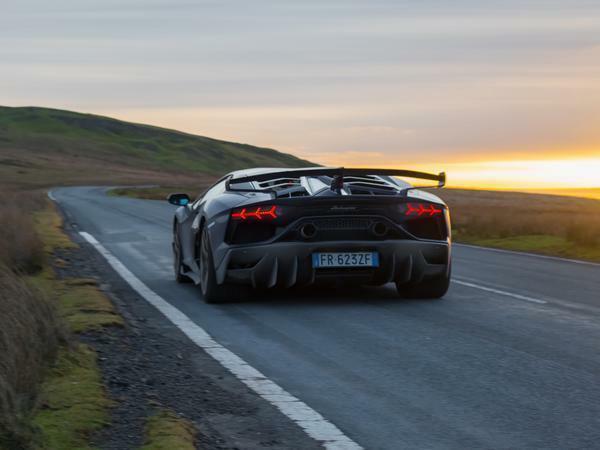 Which, for a 6.5-litre V12 with the best part of 800hp, is quite some feat. It drives harder, for longer, from fewer revs than any previous installation of this engine, power building and building and building to an intoxicating crescendo at 8,500rpm and the limiter all too soon after. Despite advances in technology, turbochargers can't match this intensity, this addictiveness and this ferocious energy - what an engine. Naturally, too, it sounds utterly incredible, wickedly angry and yet silky smooth as well, with not symposer or exhaust button in sight. The engine is way more than simply a means to an end, too. 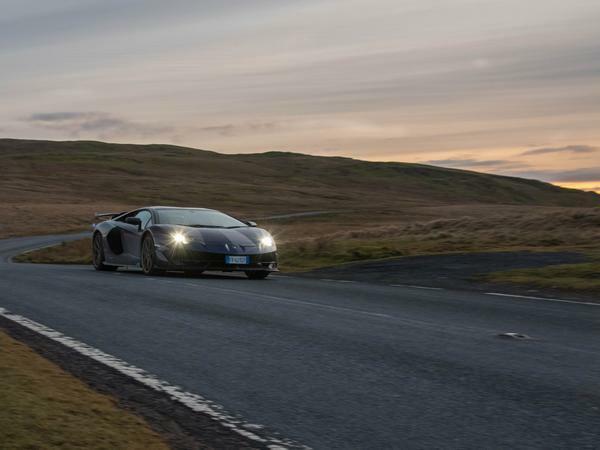 Despite some assertions, the standard Aventador wasn't quite the blunderbuss it was made out to be, though the S significantly improved things. But the SVJ transformation renders those cars a little ponderous, aloof and cumbersome - seriously. 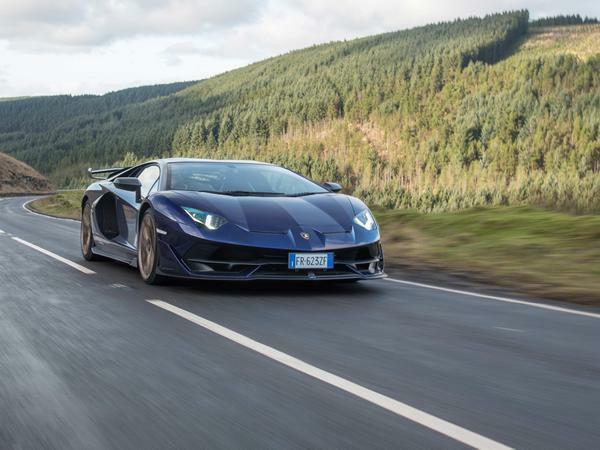 The tweaks to the suspension - including 50 per cent stiffer bars and tighter dampers - plus further advances to the rear-wheel steer have created an Aventador more (that word again) immediate, direct and alert than it's ever been. Even on winter tyres. In addition, it would have to be assumed that the active aerodynamic technology - see here for a better explanation than we could ever provide - will only contribute further to the sense of car that belies its physically chunky dimensions, changing direction with a nimbleness that's hard to level with its sheer size. As noted in the first drive, however, the SVJ is not the most natural or faithful car to drive fast, with its four-wheel steer perhaps not as cohesive as some other systems. For many the argument will be that a car that takes some learning is more satisfying than one that's immediately easy to master, though having trust in a car so large (and so capable) a bit sooner would be nice, particularly given Aventador steering has never been the most communicative. Watch the lap record vid for some idea; it's very seldom that more than a quarter turn of lock is required, which never stops feeling a little strange. Once familiar with the steering (Corsa mode, with its fixed ratio, does improve things), what the Jota is capable of beggars belief. 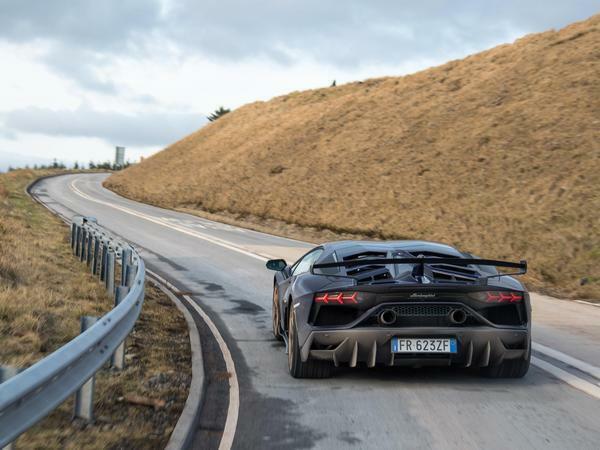 Body control is exemplary, the car sufficiently supple (just) for a minor road while also delivering absolute confidence; the brakes happily shorn of the grabbiness that can afflict Lambo ceramics and the traction immense, yet not an inhibitor to any sense of engagement. 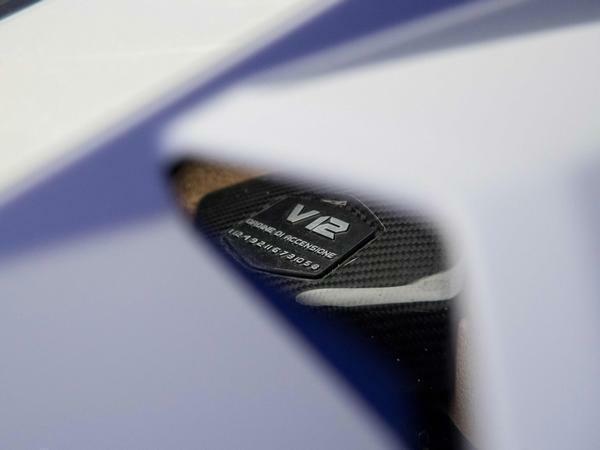 The SVJ's voracious demand for yet more dynamic challenge would be exciting with a 1.0-litre three-pot; given that wonderful V12 as motivating force between each bend, the experience is entirely as exhilarating as it hopefully sounds. On a track the J must be on another plane again, because there's the sense, not only of barely scratching the surface here, but also of a car singularly designed for track use. It tolerates road journeys like rock stars tolerate travel between gigs, desperate for a big stage on which to perform and show off. 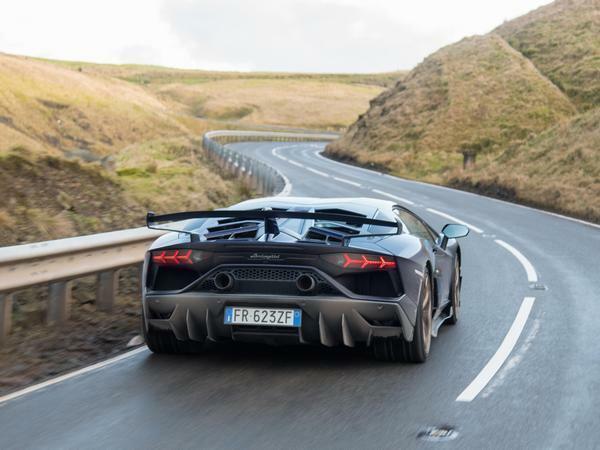 On a lot of roads the Aventador fidgets, picks up grooves and never fully calms down - good, as it should be. As the remit of seemingly every car continues to broaden, arguably to the detriment of any character, to discover something of such unflinching focus and steely intent is a pleasant surprise. It's good enough on the road, the SVJ - at some points outrageously good, in fact - yet never feels entirely at home there - it wants, and really needs, a circuit. Bear in mind as well that this effusive praise, in addition to the plaudits that came from the track test, have come on 'incorrect' tyres - the Estoril laps on P Zero Corsas, this road drive Sottozeroes, not the Trofeo Rs designed specifically for this car and the record attempt. That the car is this enthralling as is, with so much latent potential still untapped, should tell you as much as anything what an achievement the SVJ is. Because, while it's not a perfect car, the Jota is an absolutely brilliant one; more than that, it's a Lamborghini you can love in spite of its flaws, and not - as can be the case - because of them. There are problems with it, and only a fool would say otherwise, but such are the car's considerable talents elsewhere that they don't undermine the appeal one bit. 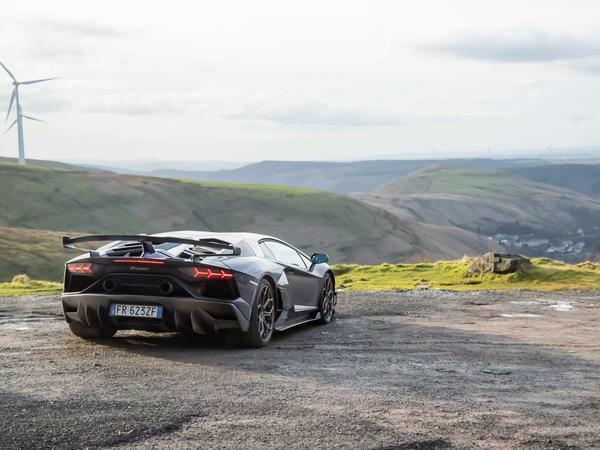 That this Aventador is one of precocious talent, while still retaining all the naughtiness and weak-at-the-knees desirability we want from a Lamborghini, only seals its status as something exceptional. It's a V12 Sant'Agata supercar that, for perhaps the first time, is sensational both to drive and to look at - the annals of supercar history will remember this one as very, very special indeed. I’m sure I saw this exact car driving around Buckingham Palace on Wednesday. Really quite something in the metal. Wow! Now that's a propa Lambo at last! 9 grand for some fecking paint? Not keen on the colour but other than that what a superb machine. Possibly the last of its kind before hybridisation takes over.